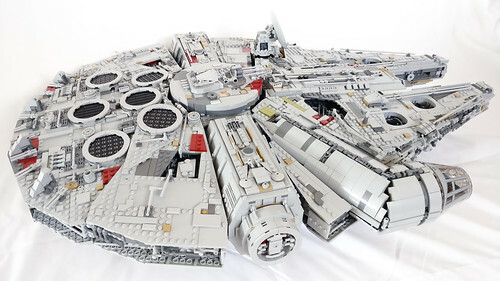 The largest set that LEGO has produced is the LEGO Star Wars UCS Millennium Falcon (75192) which comes in at a massive 7,541 pieces while costing a whopping $799.99. I’ve already done an unboxing on it so you can check it out if you want. With today being May the 4th, now is a very good time to finally release this review. First off, let me preface this review by saying sorry for the lateness of the review. My camera image data and part of the review got corrupted on my old laptop a few months ago and I’ve finally had time to rebuild and retype out what I’ve already done in between what was happening with Toys R Us and changing jobs. Things just weren’t going right the past few months. 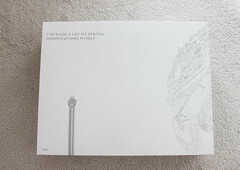 The manual is thick and heavy coming in over 6 pounds. Yes, I weighed the book on my scale. It has 466 pages and consists of a monumental 1,379 steps. Not all the pages are the steps as the first 16 are actually designer notes and interviews. There’s some pretty interesting information especially the part where LEGO revealed the stress test heating. This whole section is worth reading before or after you build the set. Underneath the manual are four boxes that separate the individual numbered bags. 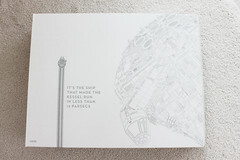 Each of the box has a memorable quote from from the A New Hope and Return of the Jedi. Probably due to packaging weight, the numbered bags are randomly inserted into the boxes so you’ll have to open them all up to find each numbered bag. 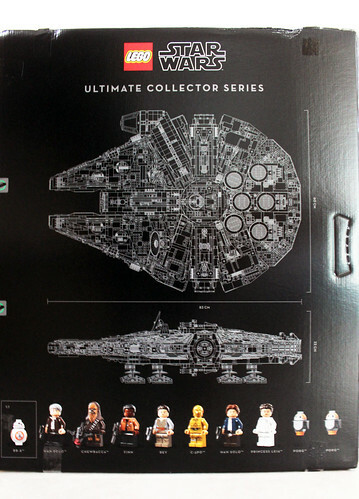 As we know by now, the new UCS Millennium Falcon emcompasses minifigures from both the Original Star Wars Trilogy as well as the Sequel Trilogy. 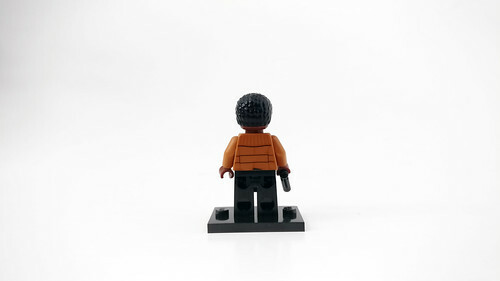 Fans were left scratching their heads when some notable characters were left out but we still have a number of minifigures included in the set. 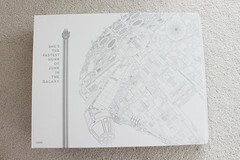 The main pilot of the Falcon is Han Solo and not surprising, he’s included not once, but twice in this set. The first one is based on Episode V: The Empire Strikes Back where he has a a dark blue jacket over a white shirt and brown pants. I do like the printing of the belt on the legs. He has a double-sided head with a smirk on one side and the other showing him with a breathing mask that he wears while he was inside the Exogorth. The hair piece is the newer brown one that was recently introduced. 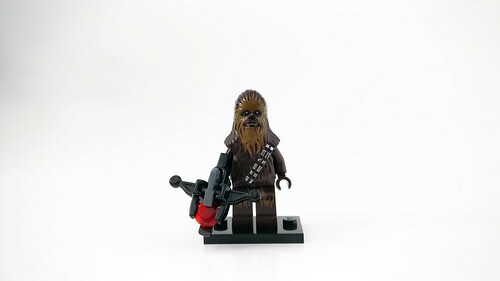 His accessory is his blaster. 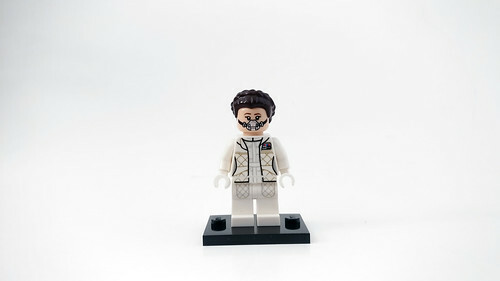 Princess Leia is in her Hoth outfit in which she wears a white jacket over the jumpsuit. There’s lots of striped printing on both sides of the torso as well as some on the legs. 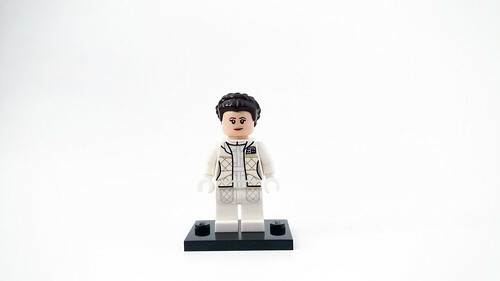 Leia has a double-sided head with a smile on one side and also a breathing mask on the other. 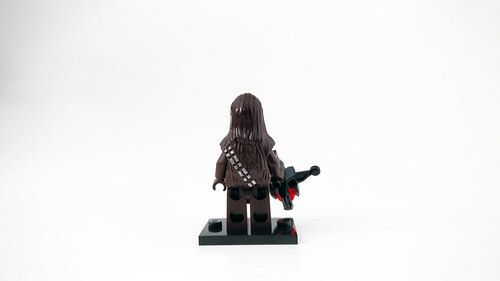 Chewbacca is the exact same minifigure that has been released before. 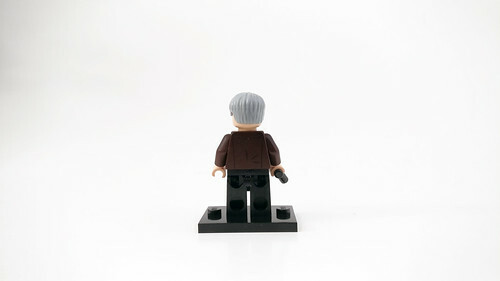 You’ll notice a similar trend with other minifigures in this set. The torso itself is plain brown and the head/body mold goes over it. The mold is also brown and there’s some tan fur on the face and legs. His accessory is the bowcaster. 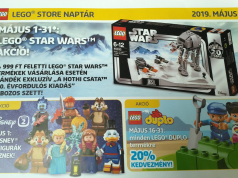 C-3PO is another character that is has been in other sets before. It is mostly pearl-gold in color with printing of his circuitry on the torso and lines on the legs. It would’ve been nice if C-3PO would have been used for the Sequel Trilogy so he can have his red arm and maybe some updated printing but we didn’t get that. 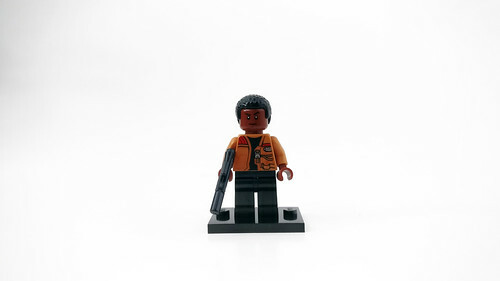 As mentioned before, Han Solo also has a minifigure for the Sequel Trilogy and he is the older version of the character as seen in The Force Awakens. This version of Han is in the Rathtar Escape (75180). He has on a brown jacket over a white shirt and black pants with belt printing. 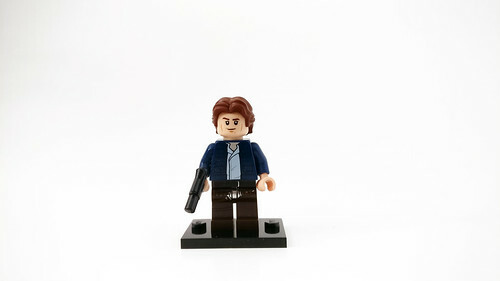 Like before, Han has a blaster as an accessory but it’s a different one from before. Rey is also a repeat from previous sets that included her. He has on the light brown and gray outfit that she’s seen wearing in The Force Awakens. The printing of the cloth also goes down to the legs as well. She does have a double-sided head with a normal look on one side and a stern one on the other. She also has printing of some freckles on her face to give her more detailing. Her accessory is usually her staff but she has a blaster in this set. 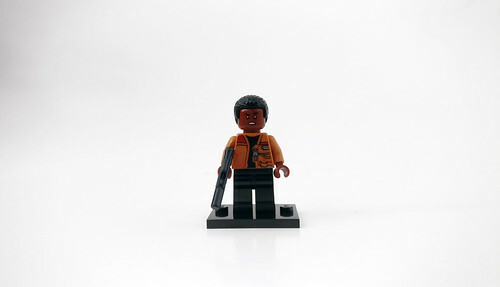 Like with many other minifigures, Finn is also a repeat from other sets. 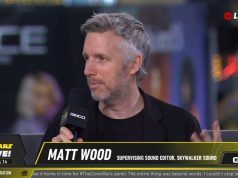 He wears a black shirt with Poe Dameron’s nougat colored jacket. There’s some nice printing of the zipper and other detailing on it. He has a double-sided head with a stern expression on one side and an angry one on the other. The hairpiece is the same one that was produced specifically for his minifigure a few years ago. 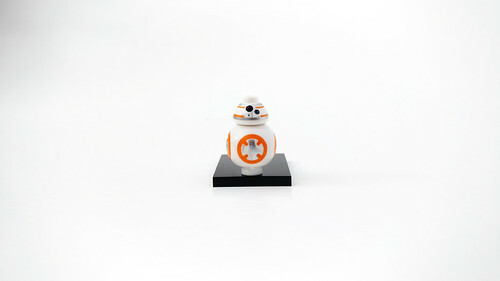 BB-8 also makes an appearance in this set. The body has printing of its tool-bay discs on four areas of the circular body which are all different. The head has printing all around with the main being the photoreceptor and the slightly smaller holoprojector. 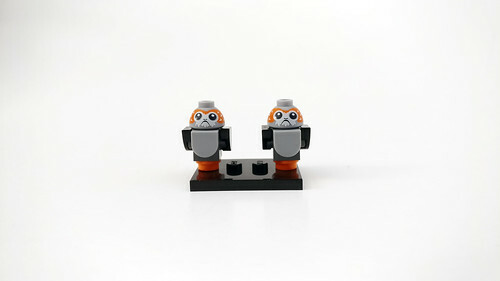 LEGO has also included a couple of Porgs because they were introduced in Episode VIII: The Last Jedi in a couple of scenes, one of which they do appear inside the Falcon so that’s the reason for the inclusion. 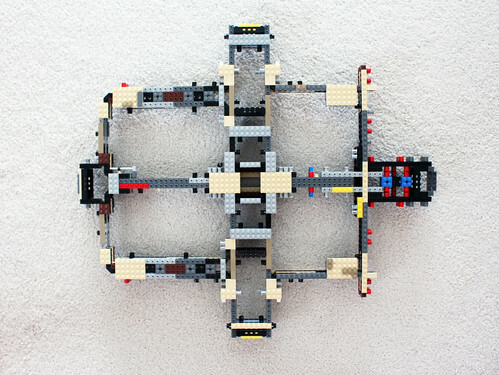 The body is brick-built using a Travis brick with some black 1×1 quarter circle pieces for the wings. The head uses the BB-8 head with some new printing of the face and feathers. 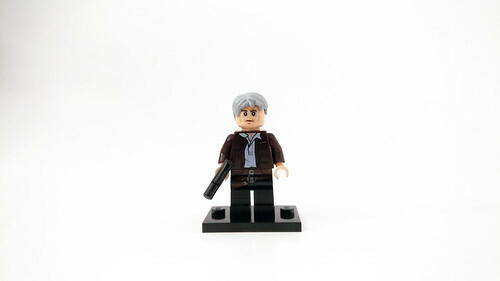 Lastly, we have a mynock which is also brick-built. 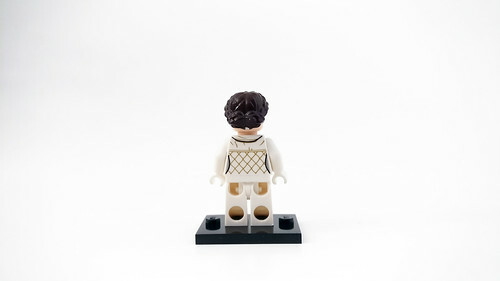 It uses a modified 1x2x2/3 brick with studs on the sides for the head and body. 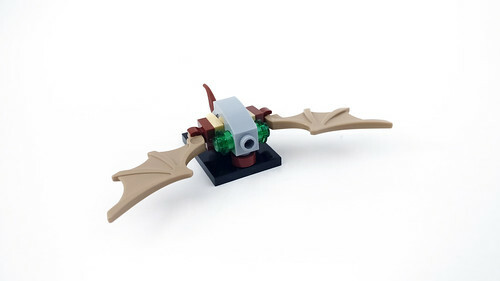 The dark tan wings are on some clips and the tail is attached to the bottom part of the modified brick. There are 17 groups of bags which I talked about in the unboxing post and the whole build time for me was about 20 hours spread throughout a week. I did have some personal things I had to do so that added a few extra days of building. 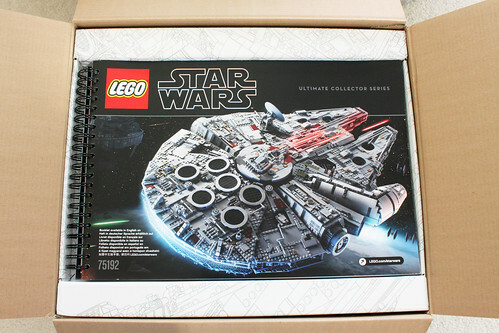 I didn’t have the privilege of getting the original 10179 Millennium Falcon so I didn’t want to rush through it as I did want to enjoy the process in expense of getting out a review for page views. 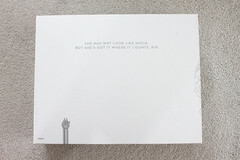 Plus, it’s still a relatively new set as there hasn’t been much stock online and in-stores until the past few months. As with any larger scale set, the build starts with the massive Technic frame which is very similar to the original one as Hans Burkhard Schlmer stated in the interview. 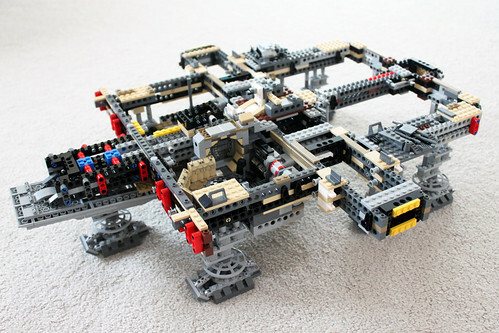 It’s straight-forward but you’ll have to be careful of where you connect the Technic pins so that you won’t have any issues later on in the build. The next set of bags are used for the landing gears. They are all the same so I did an assembly line to make it easier and somewhat quicker to build. 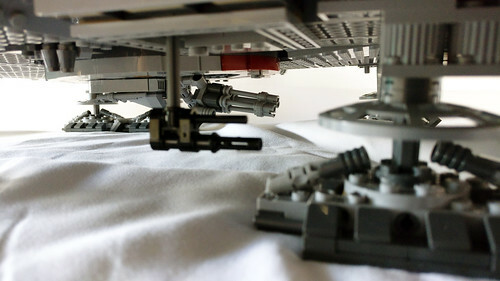 They connect to the bottom of the frame using only three Technic pins each so it may seem that they whole thing is wobbly and unstable. 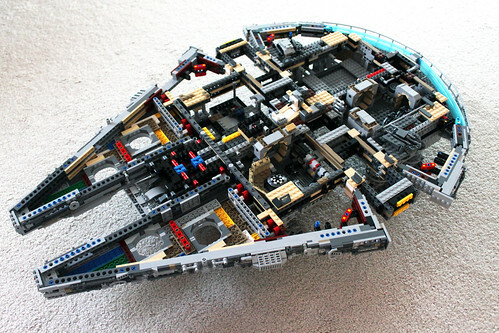 In the third set of bags, we finally start getting of some the interior details for the Falcon. 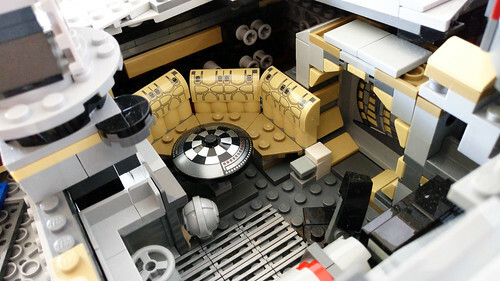 The main thing here is is the communal area in which the memorable scene where Chewbacca and C-3PO play dejarik. The dejarik board is printed dish piece and it actually looks really good. The seats here make use of some of the stickers which doesn’t look bad either way. You also build one of the corridors using an inverted technique that lead to the other areas of the ship. The 1x6x5 panels utilize some stickers to give it a curved illusion that looks really nice. It’s too bad that these aren’t printed pieces. 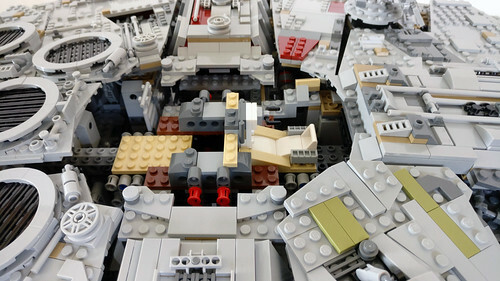 Continuing on with the fourth set of bags, we build more of the interior towards the back of the ship. Included here are some more of the corridor builds set on the left rear. Also here are a couple of escape pods that can open up and the hyperdrive which unfortunately, uses a sticker. 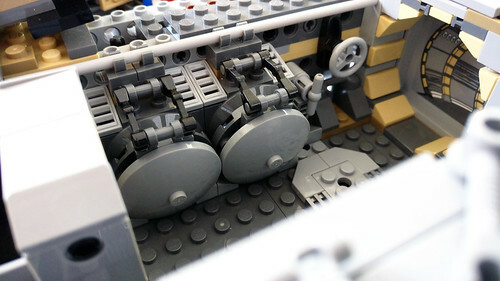 One nice detail here is the smuggling compartment using a removable 1z4 plate. The only problem here is that the hole is not even big enough to fit one minifigure. 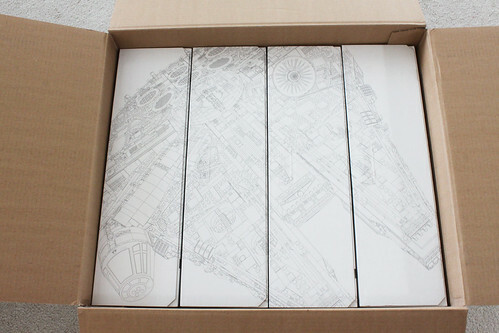 Next up is the rear and underside of the hull for the Falcon. 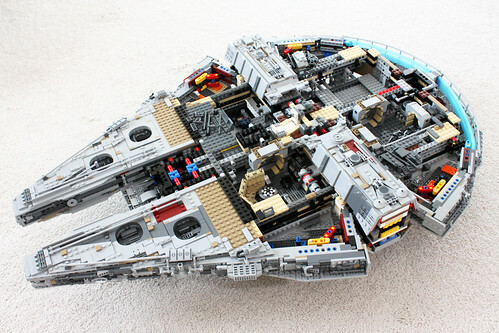 I do like this part of the build as we’re starting to get the round rear shape of the Corellian frighter. Again, I implemented the assembly line technique as it did require two of the frame subassemlies. 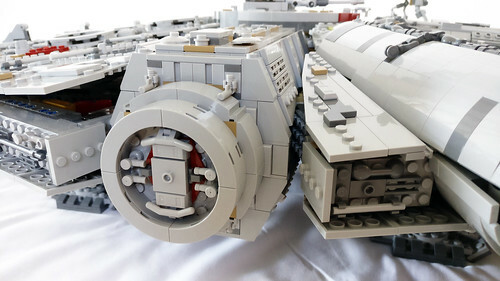 LEGO has used a number of pieces to give the greebling effect all over these areas. Here we also put on the sublight engines with uses some trans-blue tubes. Shielding the engines are some lattice pieces which were also used on the original Falcon. 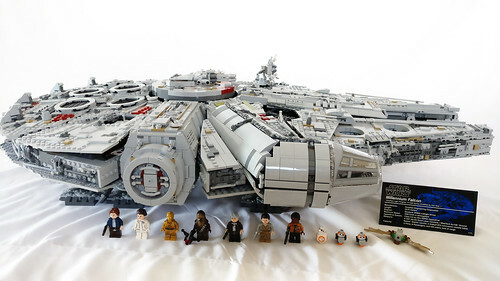 It has only been used in that set and a rare educational set so the aftermarket price for it is still really high. 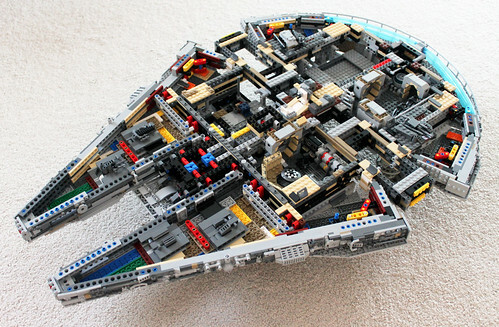 Heading to bags 6, the overall shape of the Millennium Falcon is pretty much complete as we build the front mandibles. The two sides are slightly different so you can’t build them both at the same time but one thing they do have in common is the greebling technique. 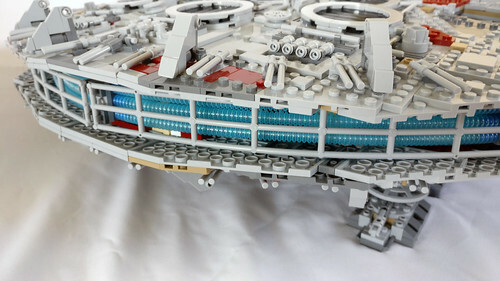 They connect to the main part of the ship using a combination of some hinges as well as some Technic pins. For bags 7, we build the frame for the mandible hulls. 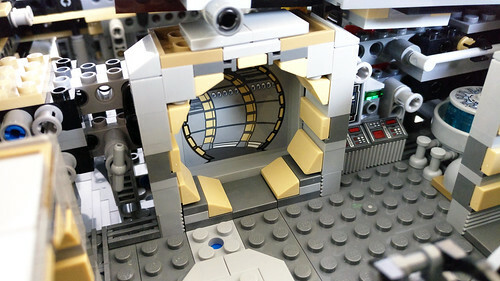 I do like how LEGO created the smooth round holes for the four maintenance access bays. They connect to the ship using some pins from the underneath. 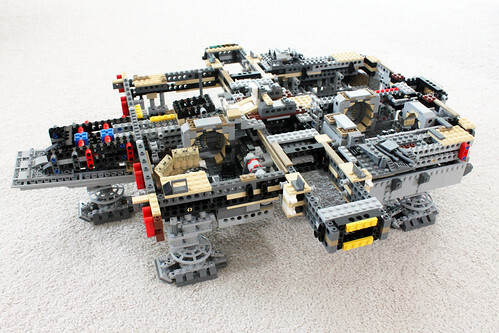 The next set of bags is used to build more to the underside hull sections using a majority of Technic beams and plates. There’s also some of the equipment for the access bays which has some greebling. For bags 9, we now build the top part of the mandibles which again use lots of plates and greebling to get the look. The holes for the maintenance bays are built similar to the ones at the bottom of the mandibles. We’re past the halfway point of the UCS Millennium Falcon and for bag ten, we first build the port and starboard side airlocks. These connect via some pins coming up from underneath. On one side, there’s a boarding ramp that uses a Technic mechanism to raise and lower the ramp. 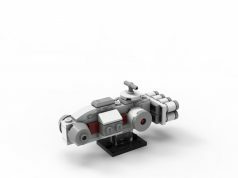 Another thing that is part of this set of bags is the lower quad cannon. It uses the SNOT technique to give it the smooth look. The cannon turret can move in a wide array of directions but cannot turn a full 360 degrees. For bags eleven, we build the top parts of the port and starboard airlocks. Again, it uses a lot of greebling and they are not identical with the subtle color differences. Bags 12 allows us to build the back part of the upper hull which has three sections. The longer one that goes in the middle is secured with some pins from underneath. The rear side ones just sit on top using some pins. Bags numbered 13 complete the missing sections in the rear of the Falcon. One of the sections is secured using some clips while the other uses ball joints. 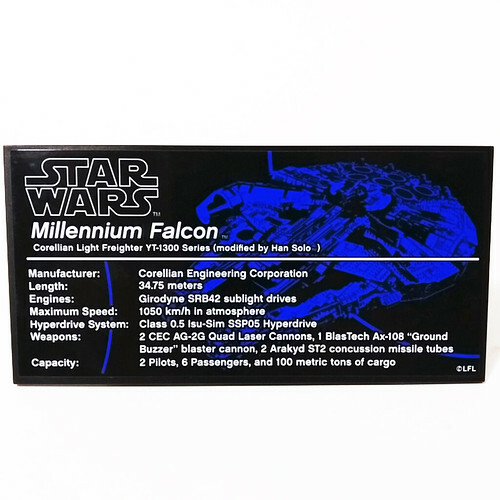 The next set of bags adds more to the hull with this one being the sloped section that goes down the front middle part of the Falcon. 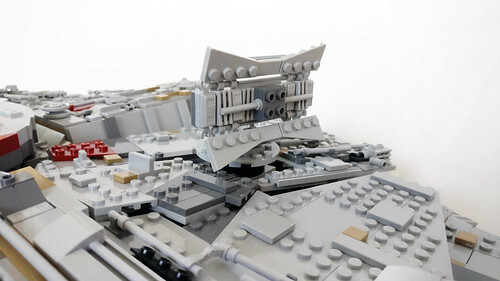 The “wing” sections on either side are clipped on to the main section and they cover up the front barren area. This whole part just sits in place and can easily be removed. Bags 15 are used to build the circular port and starboard airlocks. They are the same exact builds so you can build them both at the same time. They are attached to the ship using the 2×6 plate. There’s also a small build using a turntable for the main sensor rectenna. Along with that is a section for the hull right behind the rectenna. 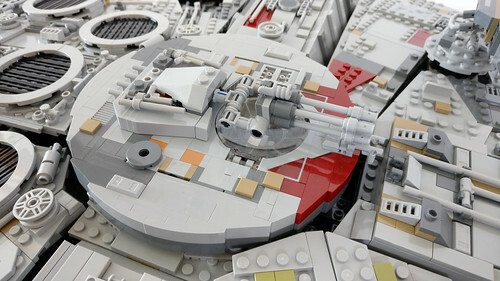 It is set in place using a yellow Technic pin. 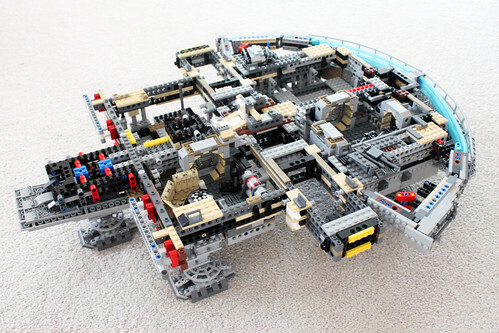 For bags 16, we’re finally on to the cockpit area of the Millennium Falcon. 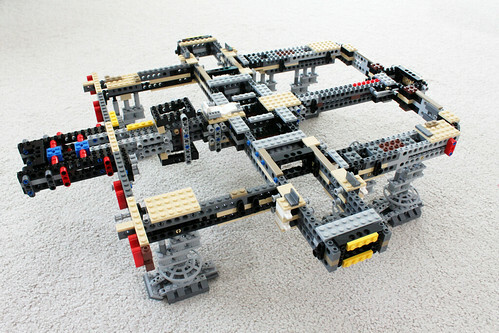 The build for this part is actually very intricate and well thought-out. 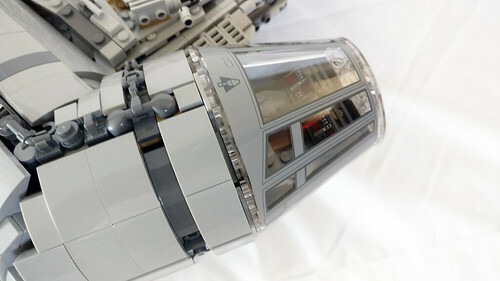 The cockpit uses some new printed trans-clear windshield pieces which is a plus because who wants to put on stickers for this part of the ship anyways. 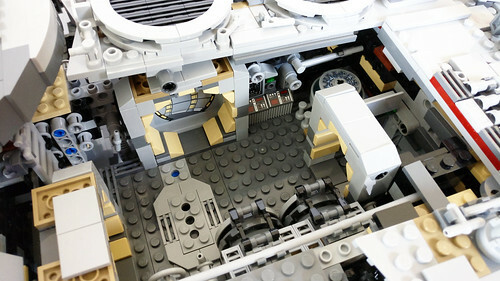 The area behind the cockpit uses a lot of curved pieces to give look of the tunnel area. 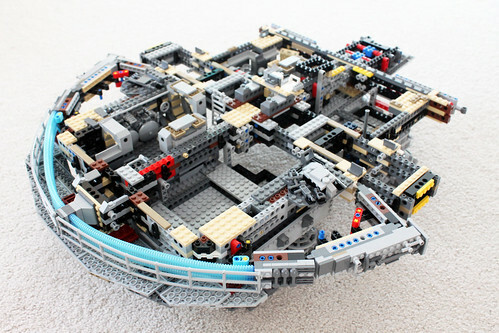 The whole section is connected to the main part of the ship using a couple of pins. There’s also an angled beam that extends further back of the ship. I really enjoyed this part of the build because I know that we’re getting close to the end of the build. For the last set of bags for the Falcon, we first build the lone mynock as seen inside the exogorth. We have parts to cover up the rest of the gaps on the top of the hull. There are also parts for the upper quad cannons which “attach” to the top by sliding it in using a couple of beams. The cannon is able to rotate easily due to it being attach by a pin. There’s also two versions of the main sensor rectenna available for you, the round one from Episode V and the rectangular one for Episode VII. 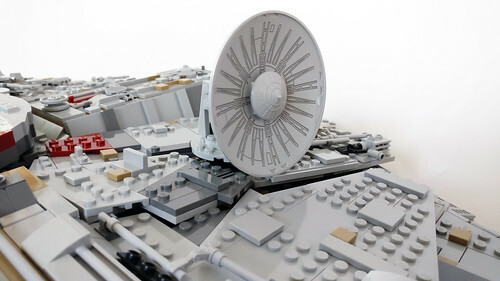 Both are able to attach to the ship on the 4×4 round brick and can rotate a full 360 degrees. 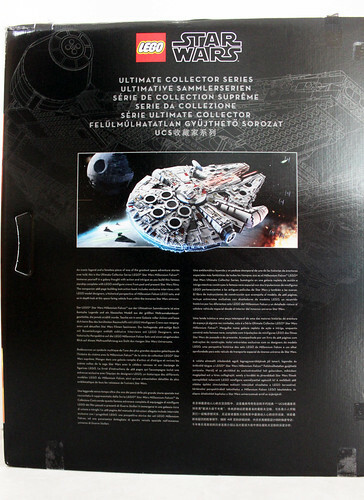 For the last part of the build at step 1,379 is putting on the Ultimate Collector Series sticker on the plaque and stand. Like I said before, this is probably the hardest step in the whole build as I’m very particular when putting on stickers especially for something as majestic as this. 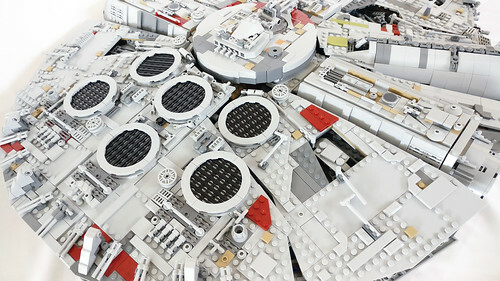 To say that the LEGO Star Wars UCS Millennium Falcon (75192) is epic is still an understatement. 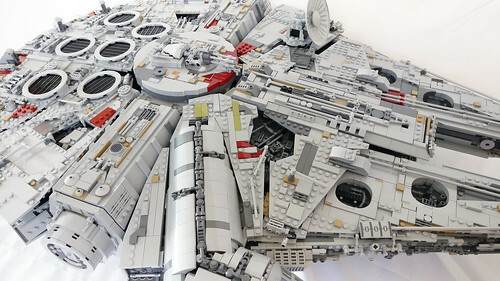 I’ve built and reviewed a lot of largest sets in terms of piece count but nothing even comes close to this. Overall with me building it twice, it has taken me about 40 hours total so about 20 hours each. 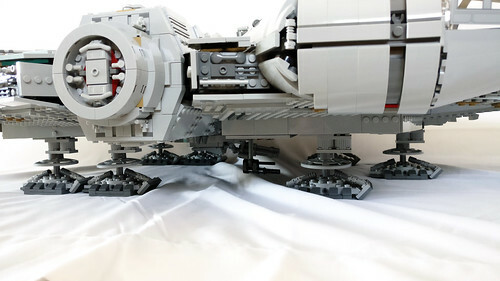 The exterior of the UCS Millennium Falcon is pretty much as detailed as a set can be but there’s always room for additions if you desire. 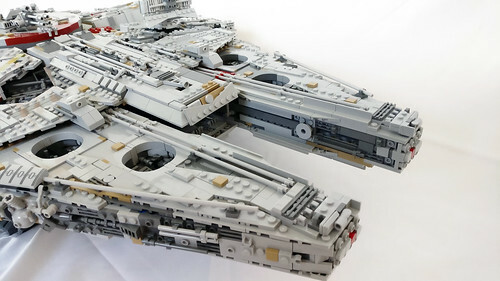 One thing I do like are the swappable antennas but I rather prefer the rounded one from Episode V. The amount of greebling all around the Falcon is unparalleled to any other set that I’ve previous built and that’s not a bad thing. The interior is lacking in some areas but the stickers for the corridors have a nice illusion going for it. 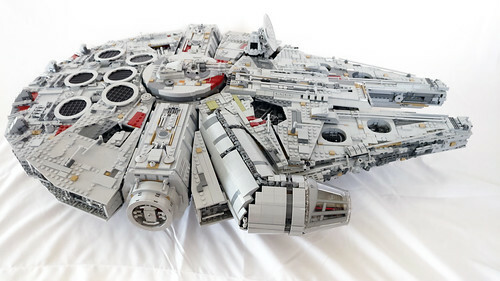 I would’ve preferred printed panels simply because this is the “ultimate” LEGO set one can obtain but unfortunately that didn’t happen. 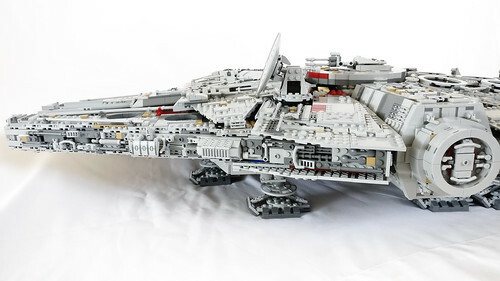 There are some play features with this set but one thing that stands out for the UCS Falcon is that there are no spring-loaded missiles or stud shooters. I do appreciate that lack of detail because this set is purely a display piece and none of them are needed. There are some moveable parts like the dishes, quad cannons and the boarding ramp but I wouldn’t consider them play features. 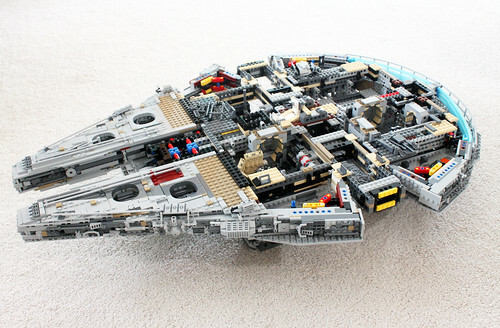 There aren’t much dislikes that I have with the UCS Millennium Falcon besides some of the minor ones stated above. 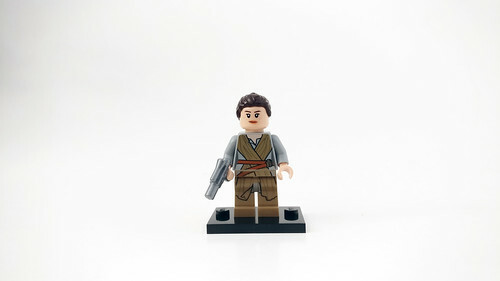 Some will say the minifigure selection is questionable because it doesn’t include Luke or Obi-Wan but remember that the ship the designers were basing it on was from Episode V and those two characters were not in the scene. 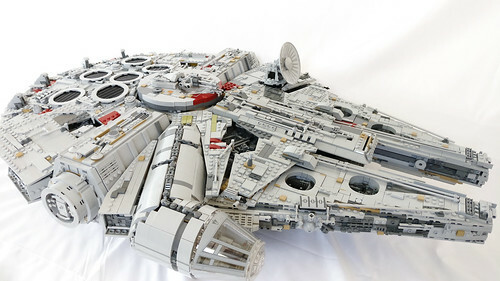 Unless LEGO decides to make an Ultimate Ultimate Millennium Falcon, some of the characters that have shown up on the Falcon like Luke, Obi-Wan, R2-D2, Lando Calrissian, and Nien Numb probably won’t be included anytime soon. 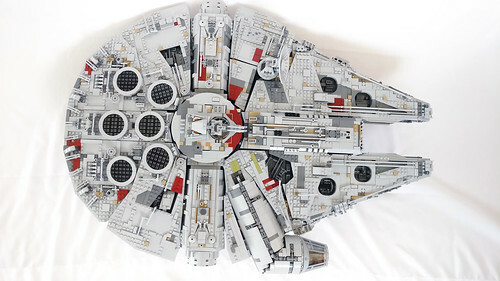 All in all, the UCS Millennium Falcon (75192) is definitely worth picking up especially now that it is in stock on [email protected] and you can earn double points on it. The only problem that you will have later is finding a large enough space to put it. For me, it’s been sitting on my living room coffee table for the time being.